Open, Airy Bath Designs Are In Style for Summer 2016 – Design Your Lifestyle. Clean lines, open design, fresh whites and ambient light. This is the recipe for success when it comes to creating the bathroom design of your dreams during the Summer of 2016 – and with the help of one of North America’s most award-winning designers, we’ll walk you through the process! 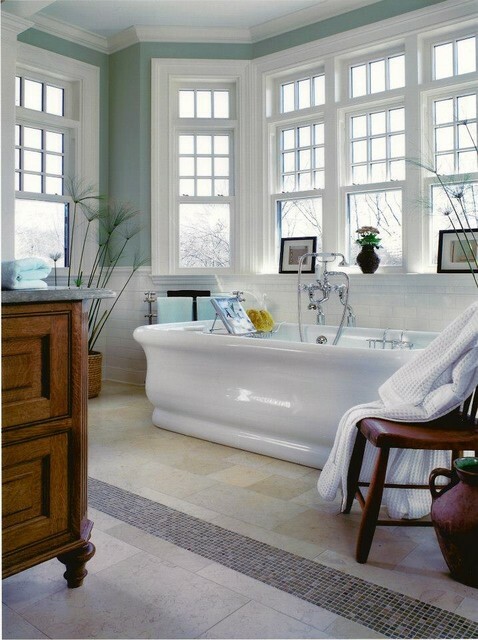 The bath design you see above (and the other stunning bath design photos below) was created by Peter Salerno, owner and founder of Peter Salerno Inc. Since 2002, Peter Salerno Inc. is the most award-winning kitchen and bath design firm in North America, honored by prestigious names like NKBA, KBIS, Signature Kitchens & Baths, Sub-Zero and Wolf. When it comes to world-class bath design (be it classic or modern, traditional or transitional), there are few people more qualified to discuss the keys to a beautiful bathroom design than Peter Salerno. 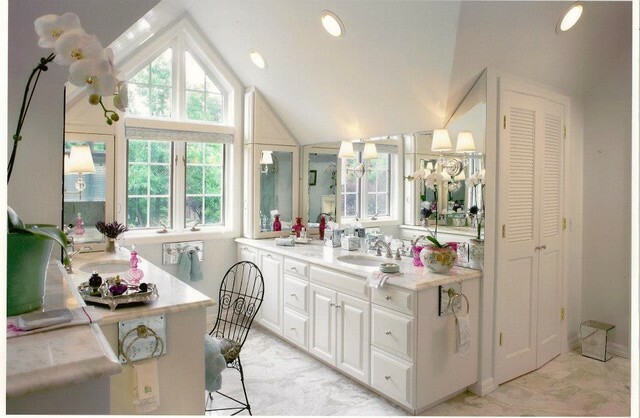 For an expansive portfolio of Peter Salerno Inc. designs, visit his Houzz Page. So let’s dive into some of the keys to a beautiful Summer 2016 bathroom design, courtesy of the master designers and craftsmen of Peter Salerno Inc.! Tip #1: Hire an expert designer to take you through the bath design process! Have the project done expertly once, and have a design that lasts your lifetime. 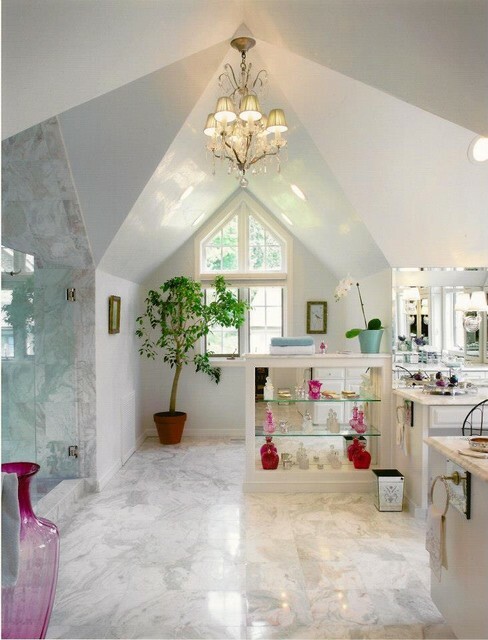 Plan your bathroom to utilize as much ambient outside light as possible. Don’t be afraid to use white! Natural wood tones add a beautiful, earthy touch to your accents and accessories. While you don’t need many, a few accent lighting fixtures can make a huge difference! If you’re looking for a hint of color and want to buck the “blue and white” motif, try bold, warm tones like roses, reds and pinks. For even more expert Summer 2016 bath design advice, please fill out the contact form below!